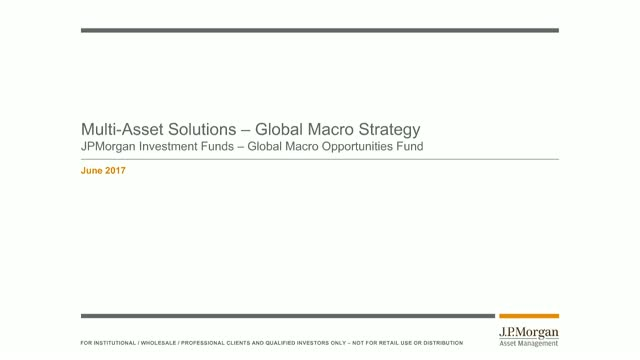 Please join James Elliot (Chief Investment Officer for Multi-Asset Solutions International) and Shrenick Shah, Portfolio Managers for the Global Macro strategy, and Benjamin Mandel, Strategist in the Global Multi-Asset Strategy Team, for an update on the macro environment and the positioning and performance of the strategy’s flagship fund, Global Macro Opportunities Fund. The fund aims to deliver positive returns over the medium term by capitalising on trends and changes in the global macro environment. Using a research-driven approach, the fund leverages the expertise of an experienced team of portfolio managers and strategists, whose macro views are reflected across a set of traditional and sophisticated strategies.